These pictures come out with a smile, but they’re missing something else that’s more important than a facial expression–like life. The best memories are those crazy, glaring at each other, one foot in the air, the other in a tub of butter kind of photographs. Professional photographs. If a professional is behind the camera, and said camera is also a professional camera, and there are lights and flashy things and mechanical gizmos, disregard everything I just said. Before last week, I only worried about the first type. I took a ton of pictures. Sometimes creative shots, other times posed and stiff and many times, something that could only be called a mixture of the two. But one thing I had never done was hire a professional (portrait sittings at your local department store don’t count). I did spend one day last year with my good friend, Lianne, taking photos for this blog and my Facebook page, which came out quite good. Thanks, Lianne! That spring day with a friend, a handheld camera, and a pre-photography session fika was the closest I’ve ever come to hiring a photographer. I didn’t even hire one for my wedding. A co-worker at the newspaper volunteered to do the job. 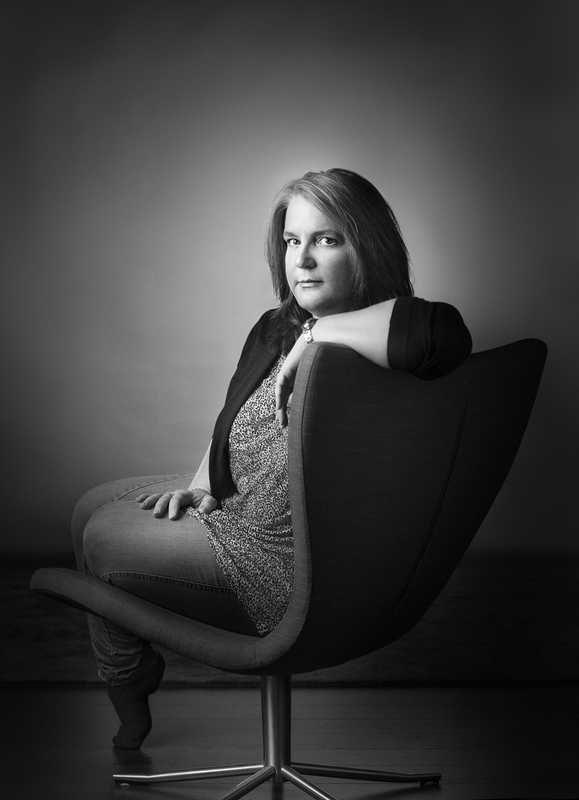 Last year, the Stockholm Writers Group decided to hire a professional photographer to take the photos for their new website so they contacted Tymon of whiteboxstudios.se. I wasn’t around for that first photo shoot, but since joining the group, I’ve known my turn was coming. Almost two weeks ago, I finally had my session. More than a little nervous, I showed up to a building which could have been pulled straight out of The Great Gatsby, ate some chocolate banana bread, and tried to appear confident and authorly while Tymon set up his mysterious equipment. I had a lot of fun. Okay, so maybe it wasn’t all fun. I went first, which made me the lighting guinea pig. Sitting in a chair, not moving, while trying to smize (per the photographer’s impromptu assistant) as the photographer does his best to find the perfect light in the perfect angle wasn’t necessarily the best way to spend a Sunday afternoon (not a poor reflection on the photographer, who was GREAT by the way, just not the funnest activity on the planet). On the other hand, it wasn’t boring (mainly because the previously aforementioned assistant kept making me laugh). Sticking around to watch the other new members squirm a bit during their turn was fun, too. And wow, do I love the results. If you want to see the color photo, pop over to Stockholm Writers Group and click on my square. Great photographs, Tymon! Thank you so much :). Previous Article A new job, a new city – well, sort of.